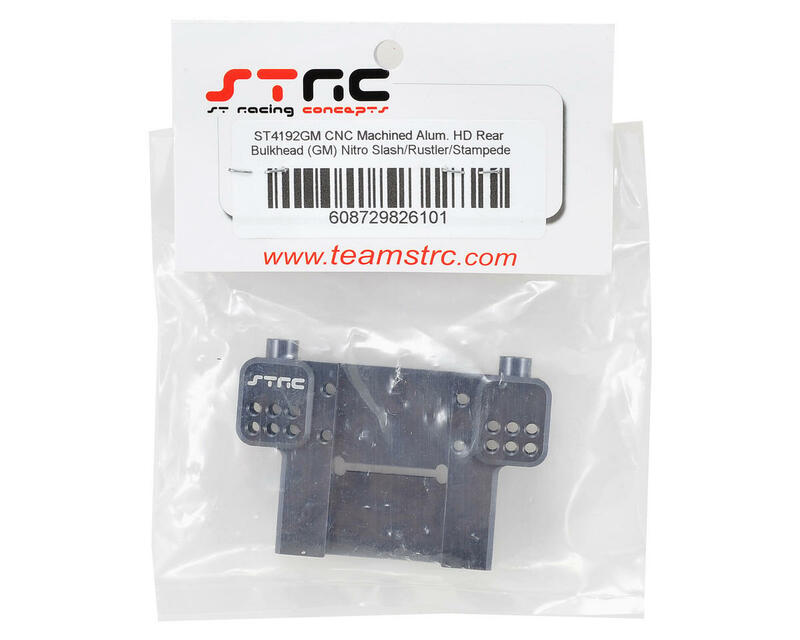 This is an optional ST Racing Concepts Gun Metal CNC Machined Aluminum HD Rear Bulkhead. 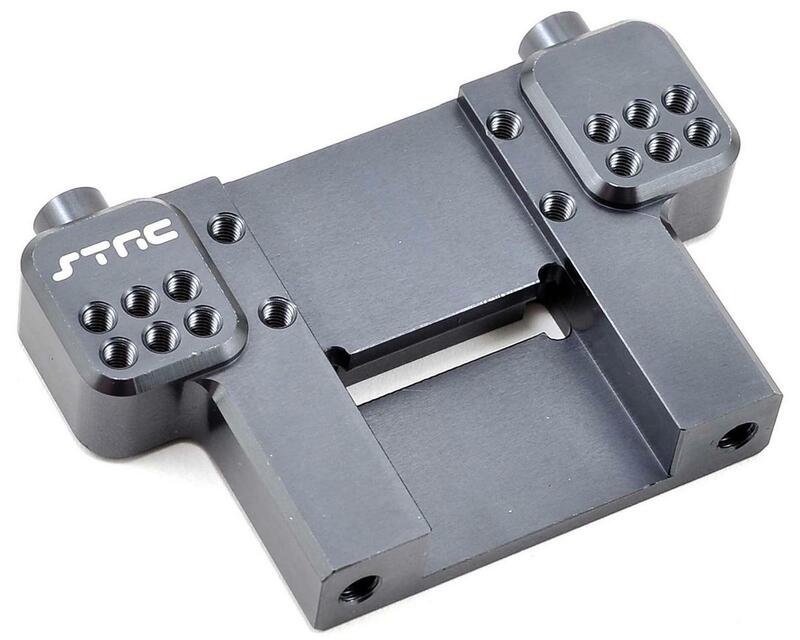 This heavy duty precision machined aluminum rear bulkhead is stylishly anodized and provides another layer of rigidity and strength to the rear end of your Traxxas vehicle. Six possible camber locations are provided on each side for fine tuning setup.